He remains in front of T-Series, for now. It seems like Felix “PewDiePie” Kjellberg is willing to do whatever it takes to remain the top channel on YouTube. The popular YouTuber, who has the most subscribers on the platform, has been waging a subscriber count war against T-Series for months. With the difference in subscriber count now around 100,000, PewDiePie is starting to feel the pressure. T-Series is an Indian music label and film production company that was founded in 1983. The channel typically uploads Bollywood style music videos daily to YouTube. While the channel is yet to dethrone PewDiePie, it’s set other YouTube records—it’s largely regarded as the most-subscribed channel that isn’t English. Earlier today, PewDiePie began livestreaming Fortnite in an attempt to help boost his subscriber count over T-Series. It seems to be working, too, since nearly 300,000 people watched the stream live. In the top right corner of the stream, PewDiePie had the live subscriber counts showing for both channels. 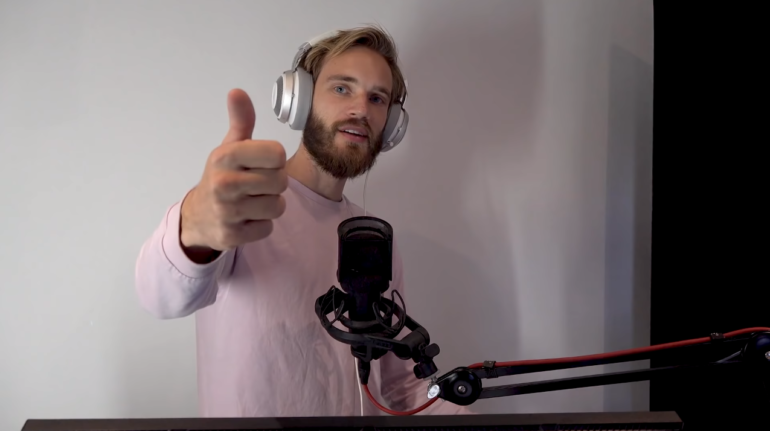 Throughout PewDiePie’s livestream, his subscriber count slowly outpaced T-Series—the margin between both channels grew an additional 50,000 during the stream. Across the world, fans have been doing everything they can to help keep PewdiePie ahead of T-Series, and it’s worked so far. Tactics have included hacking printers requesting people to subscribe to PewDiePie and popular YouTuber Justin Roberts renting a billboard in Times Square for $1 million advertising PewDiePie’s channel. PewDiePie’s livestream seems to be a last-ditch effort to stave off T-Series, at least for now.